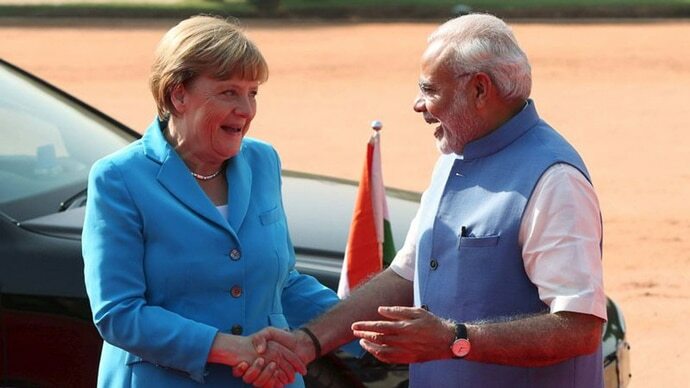 Germany is India’s biggest economic partner in Europe and the sixth largest at the global level. German President Frank-Walter Steinmeier's just-concluded visit to India was important on many counts. Unlike his predecessor Joachim Gauck who visited India in 2014, Steinmeier has much greater international recognition and more political weight, having been foreign minister for eight years in two spells (2005-09 and 2013-17) and vice-chancellor from 2007 to 2009. His visit has come after Germany has been able to form a coalition government after a lapse of some months, an exercise in which he has played a significant exhortatory role. The value of his visit lies in the consolidation of our understandings both in the bilateral and international contexts. Germany is India’s biggest economic partner in Europe and the sixth largest at the global level, with bilateral trade in 2016-17 amounting to $18.3 billion (Rs 1,18,501 crore), which is below the peak of $23 billion (Rs 1,48,844 crore) reached in 2011-12. Nearly 1,800 German companies have invested $10.71 billion (Rs 69,309 crore) in India from April 2000 to December 2017, making it the seventh largest investor in India, but as this amounts to only 3 per cent of the total FDI received by India from 2000 to March 2017, there is scope for considerable expansion. (In comparison, India has invested more than $6 billion — Rs 38,826 crore — in Germany till December 2016). Given that the German economy is the largest in Europe (constituting 28 per cent of the euro area economy) and the fourth largest globally, not to mention Germany ranking as the third largest exporting country in the world, our bilateral economic relations could be more voluminous. By comparison, Germany’s trade with China, its largest trade partner, stood at euro 169.9 billion (Rs 13,69,460 crore) in 2016. We have been long pushing for greater German investment in India, especially from middle-sized German companies that are the backbone of the German engineering sector, as it is through them that we can obtain a whole range of technologies to upgrade our industrial sector. Germany has been expressing concern about the expiry of our bilateral investment treaty and the absence of a new one, but this can now only materialise through the India-EU FTA which is proving difficult to negotiate. Steinmeier has, during his visit, called for its early conclusion. India has always seen Germany as a most attractive technology partner. We have a High Technology Partnership Group (HTPG) for identifying specific opportunities for high technology collaboration under the “Make in India” programme, in particular in areas of skill development, defence manufacturing, machine tools, maritime technology and the blue economy. Possibilities of cooperation in the field of Industry 4.0, which covers automation and data exchange in manufacturing technologies, is being explored. Germany has great expertise in the area of Vocational Education and Training for which a joint working group exists. India’s railway modernisation and expansion plans offer considerable opportunities for the German rail industry. Renewable energies and sustainable urban development are other major areas of India-German cooperation. So is higher education. Germany is keen to receive more Indian students (currently 15,000 in number). At over 3,40,000, the number of foreign students in Germany grew by 36 per cent between 2012 and 2016, with Chinese students numbering at over 32,000 forming the largest contingent. Germany’s active consideration of an Indian proposal for a MoU on mutual recognition of qualifications will certainly enhance student exchanges. It is with a similar objective in mind that during Macron’s visit India and France agreed to give mutual recognition to academic degrees. Steinmeier’s visit has taken place in the context of major global uncertainties created by US policies under Donald Trump, the unveiling of China’s hegemonic ambitions on land and sea under a more authoritarian regime, the looming threats of protectionism and trade wars, strains within Europe, the Brexit blow to the European project and so on. Europe as the world’s largest economic and trading block, espousing democratic and pluralistic values and attached to an open multilateral trading system, finds a rising India an increasingly congenial all-round partner. India is one of the few countries with which Germany has institutionalised summit level biennial inter-governmental consultations. Inversely, India values a strong relationship with Europe, given that it is India’s leading trade, investment and technological partner, and closer ties with Europe gives more balance to our foreign policy, especially when balance of power politics is re-surfacing at the international level. With Brexit, Germany, with France, has become more central to the process of rejuvenating Europe, and this therefore requires that we have stronger understandings with it. Germany’s concerns about China’s threat to the liberal international order, including through its state-driven Belt and Road Initiative, are rising. It is beginning to pay serious attention to the expansion of China in the Indian Ocean. In his address at the Delhi University, Steinmeier offered German support to ensure freedom of navigation in the Indian Ocean, which he considered important for Germany’s stability and prosperity. Shared values have acquired more foreign policy salience to counter the disruptive state-driven authoritarian model China is seeking to propagate internationally. Steinmeier, therefore, pointedly mentioned that he intentionally chose democratic India for his first longer trip to Asia. A little surprisingly he cautioned India against BRICS as a grouping that seeks to challenge the existing international structures when reforming them would be a better choice. Refreshingly, he cautioned against the “responsibility to protect” becoming a pretext for new interventionism. All in all, Steinmeier’s visit will have contributed to stronger strategic and economic India-Germany ties. Also read: Can vice-president Venkaiah Naidu rise above RSS politics?